If you are looking to warm your hands this year whilst using your computer then you could check out these Star Wards USB handwarmers. TRON: Legacy is launching soon. Along with that launch, expect a bunch of gizmos and gadgets to launch. Elecom have created a memory card reader that has the ability to rotate. The reason for it doing this is so that you can move it more easily out of the way of other ports on your laptop. Yes thats right, the title is correct. Surely, come winter, you head down stairs to your computer or laptop when its nice and frosty outside. You don’t want to have to lug your bed covers with you and you don’t want to have to sit in front of a roaring fire with laptop in hand do you? 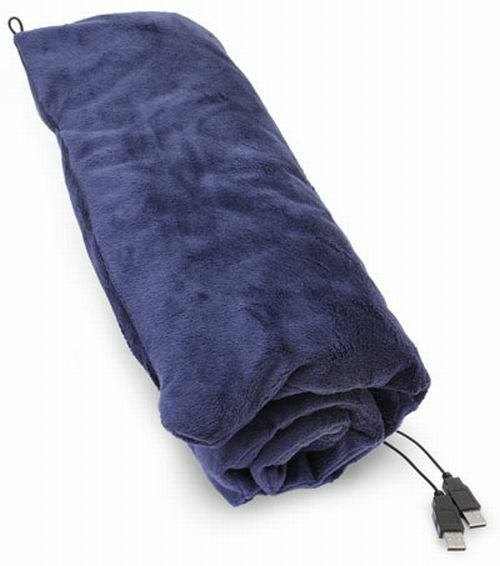 So what better way is there than to have with you a USB heated blanket? They come in 3 colours, pink, grey and navy blue. 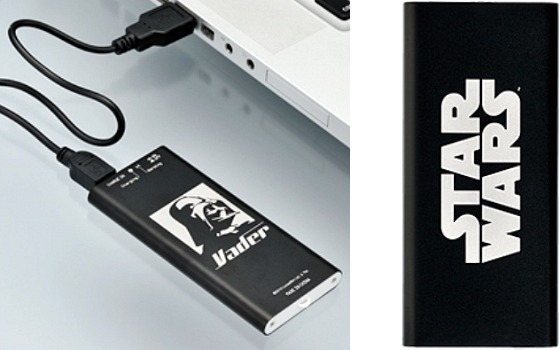 With the blanket you get 2 USB cables. You can use one if its not sub-zero outside or both if the temperature decides to take a nosedive for that added heat and comfort. Its a novel and innovative idea to be able to sit on your couch with a laptop and be snug as a bug while being wrapped in this USB heated blanket. Brando come up with some odd gadgets and this next one joins that category. 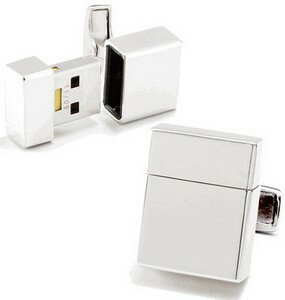 The small USB sized gadget simply slots in a USB port and cleans the copper pins that are found in there. The copper used for electrical contacts in the USB ports of your computer is subject to oxidization. Especially for those who always use their laptops at places near the sea, the problem will occur faster. But of course, no matter where your laptop is used, the problem will still occur. Over time, it’ll cause a film developed over the copper that provides insulating barrier, preventing good electrical contact between the USB port and the connector of the USB device. SanDisk has confirmed that the XBox 360 USB flash drive is now shipping. A couple of capacities are available which include an 8GB model costing $24.99 and a larger 16GB model costing $69.99. The drives carry the official XBox logo as they were built in a partnership with Microsoft [MSFT] and each drive can be used to take advantage of the firmware that was launched on April 6 that allowed external devices to be used to store saved games, profiles as well as demos, video and pictures. 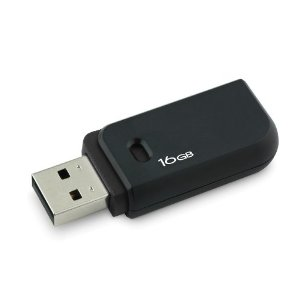 Amazon currently have a good deal on for the 16GB DataTraveler from Kingston. Right now there is a 44% saving to be found taking the price down from $44.99 to $25.00. If you purchased an Apple iPad this month you might have noticed that USB charging can be a bit hit and miss on some laptops and computers. This is due to the power requirements of the Apple iPad being a little too high for what a regular USB port can output. The requirement that the iPad has is that at least 10 watts are needed from the port. Most USB 2.0 ports are below this causing the iPad not to charge when connected to your PC. 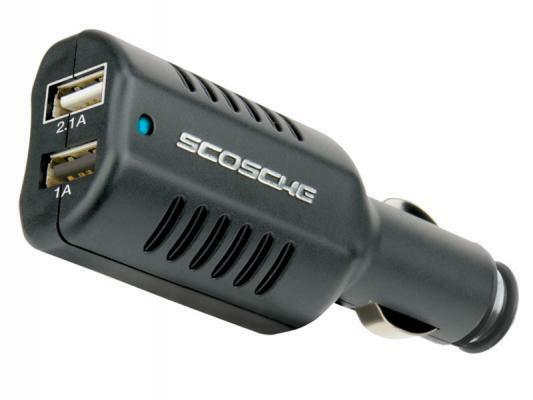 This isn’t a huge problem though as it does come with a wall adapter allowing you to charge it that way. Microsoft [MSFT] are releasing a firmware update for the XBox 360 on April 6 that will bring mass storage support on USB drives. This move will allow saved game date to be stored on a USB flash drive as well as other data including demos, profiles and more. 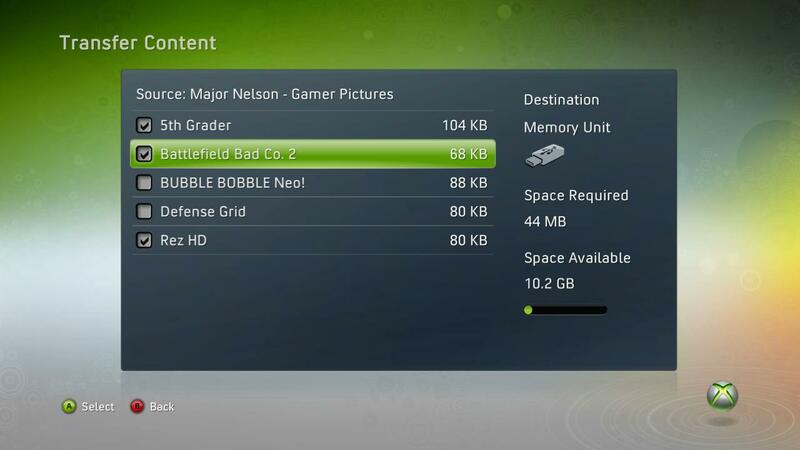 Once the firmware update is applied you need to visit the memory section of the menu system and configure the XBox to accept USB flash drives at that point. When inserting the drive a quick integrity check will be performed to ensure the flash drive is up to scratch and once done it will be ready for storing your saved data. If security is high up on your list of essentials for your laptop or computer then this little USB fingerprint reader device could be one option for you. 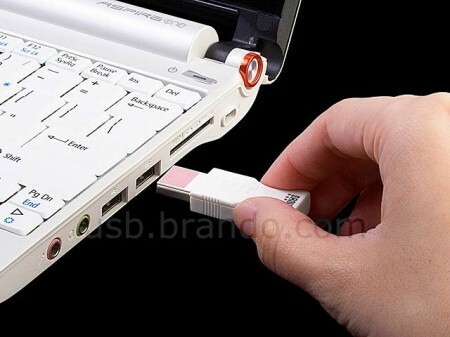 The USB Fingerprint Lock FLash Disk is capable of encrypting files stored on it as well as your whole computer with a swype of a finger. Corsair have announced a new range of USB flash drives that come in capacities of 32GB, 64GB and 128GB.